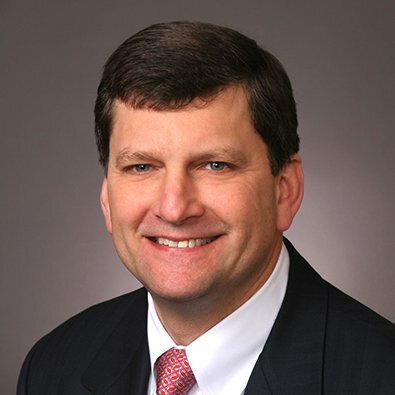 Bill Russell is the Firm's Co-Managing Partner and a Partner in the Corporate Practice Group. As Co-Managing Partner, Bill is responsible for development and execution of the Firm’s overall growth strategy and its various industry initiatives. Bill advises closely held businesses and professionals on business and tax matters. His practice consists of corporate transactions and business consulting, advanced estate planning and probate, and asset protection. As to business matters, Bill has handled the purchase and sale of private equity businesses and joint ventures. He has significant experience in the structuring of business entities, including limited liability companies, partnerships, S corporations, buy-sell agreements, deferred compensation arrangements and general corporate transactional agreements. He has also advised business owners in the resolution of ownership and governance controversies. Bill’s experience in advanced estate planning includes the restructuring of businesses or real estate to minimize estate taxes, family partnerships, grantor annuity trusts, qualified personal residence trusts, charitable trusts, trusts for children, insurance trusts, generation-skipping trusts and retirement distribution planning as well as basic estate planning for all individuals. His practice also includes estate administration and post-mortem planning to minimize taxes. Advises business owners on asset protection and workout matters, with particular emphasis on attributes of limited liability companies and limited partnerships. Represents real estate investors and developers in the financing and development of both commercial and residential properties, including specialized mezzanine financing and the structuring of real estate investment and development entities. Counsels on complex controversies involving trusts, trust and estate beneficiaries and closely held business or investment entities. Represented a closely-held US/Indian technology services company in the combined sale of its US and Indian operations. Structured a $300M cross border investment in real estate development in the US by an Irish national for income and estate planning purposes. Bill Russell, Partner in the Corporate Practice Group, authored the White Paper, "Real Life Example: Transferring Wealth with Business Interests."